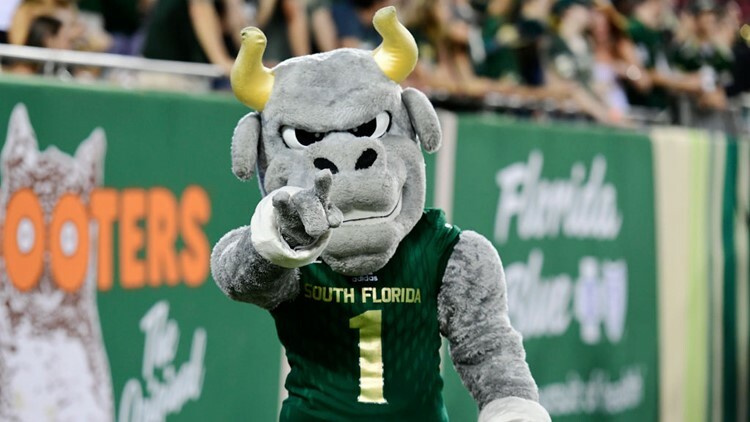 Rocky the Bull from South Florida Bulls has reason to celebrate as USF goes 3-0 on the season. Comeback keeps Bulls perfect for the season. CHICAGO (AP) - Blake Barnett threw two touchdown passes in the fourth quarter to Darnell Salomon as South Florida rallied from a 12-point fourth-quarter deficit to defeat Illinois 25-19 on Saturday.